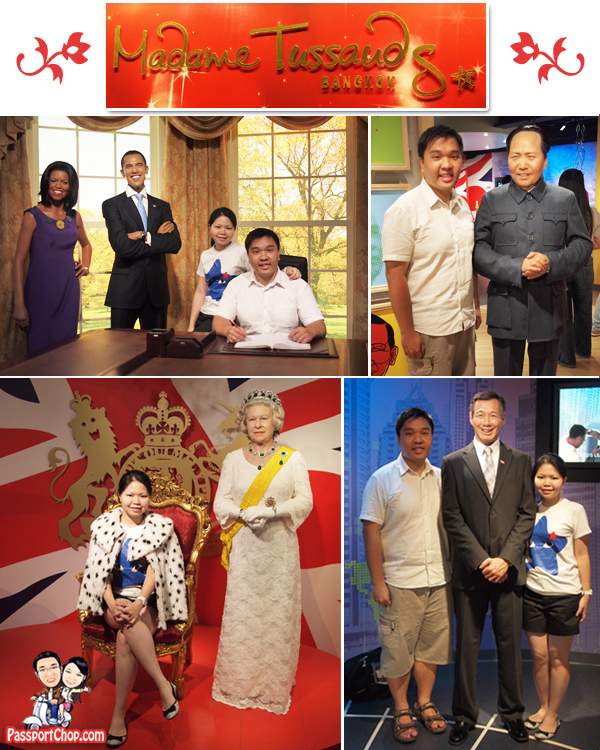 The world’s best loved wax attraction – Madame Tussauds – had opened another branch right here in Southeast Asia and just like the Hong Kong Madame Tussauds, it features famous and prominent figures from the political, sporting and entertainment fields. What is unique to the Bangkok Madame Tussauds are the Thai celebrities featured where visitors can weightlift with Paweena Tongsuk or act in a drama scene with Ken Theeradej and Anne Tongprasom. Madame Tussauds Bangkok had also been granted permission to create wax figures of the royal couple – His Royal Highness Prince Mahitala Thibed Adulyadej Vikrom Phra Baroma Rajajanok and Her Royal Highness Princess Srinagarindra for the Royal Room of its attraction as a reflection of the Chakri royal family’s kindness towards their subjects. Thus this is perhaps the only place where tourists – both local and foreign – can get up close to the likeness of the royal couple. Love movies and music? – then the entertainment section will be where you would be able to relate best to; get up close with Jim Carrey, Britney Spears and even Michael Jackson. Grab a microphone and sing and groove to your favorite artistes’ music here – even more fun with children on Family Holidays at Madame Tussauds Bangkok. 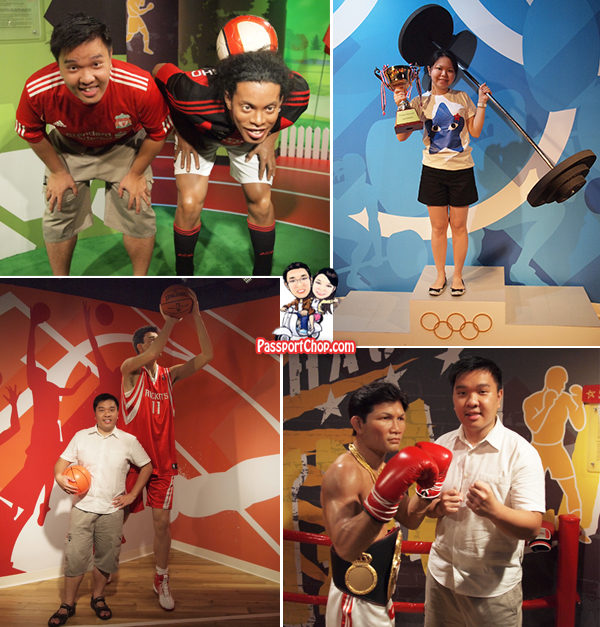 Madame Tussauds Bangkok is a perfect blend of global and Thai charms shown by the amount of Thailand’s culture, history of historic and celebrity figures included within the attraction. This new Bangkok attraction features over 80 wax figures including those of Princess Diana, Queen Elizabeth II, Dalai Lama, Mahatma Gandhi, Beethoven, Einstein, Michael Jackson, David Beckham, George Clooney, Brad Pitt, Johnny Depp, Will Smith, Stephen Gerrard, Bruce Lee, Tom Cruise, Angelina Jolie and Jim Carrey. Famous Thai figures include Field Marshal P. Pibulsonggram, M.R.Seni Pramoj, M.R. Kukrit Pramoj, Buddhadasa Bhikkhu, Sunthorn Phu, Luang Vichit Vadakan, Dr. Porntip Rojanasunan, Pawina Thongsuk, Khaosai Galaxy, Tata Young, Ad Carabao, Pumpuang Duangjan, Yodrak Salakjai, Mitr Chaibancha, Petchara Chaowarat, Sombat Metanee, Tony Jaa, Ken-Theeradej Wongpuapan, Pancake-Khemanit Jamikorn and Anne Thongprasom. This is a unique collection found nowhere else throughout Asia. Bangkok Madame Tussauds is located at 6th Floor of Siam Discovery along Rama I Road in Bangkok. Nearest BTS Skytrain station is Siam station. I feel so much happier now I udentrsand all this. Thanks!